Social media is definitely replacing the traditional media. Online marketing is the peak of advertising and it helps in getting loyal customers in the modern society. Nonetheless, creating an effective social media website as well as a digital marketing site online is not one of the easiest tasks to do. For this reason, you should use Social Media Templates. Some of them are coded and SEO optimized. They vary in color, design, and utility but they are all customizable. 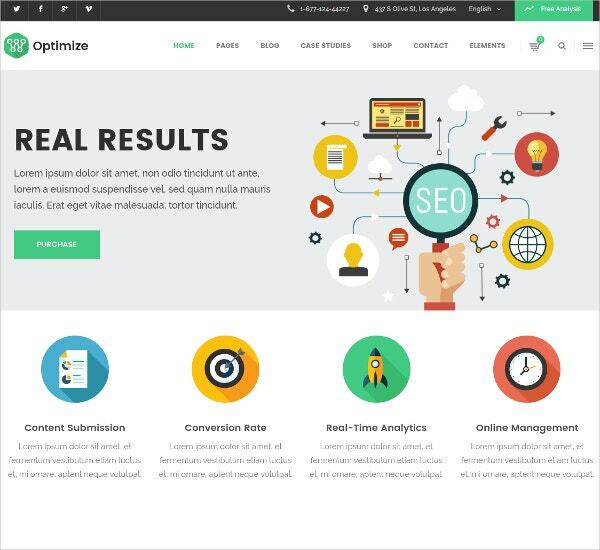 This social media and digital marketing WP Website Theme for marketers is SEO optimized and available in a regular license. The high-resolution document is widget ready and is compatible with Edge, Safari, Opera, Firefox and IE11 browsers. It contains PHP, CSS and JS files in its documented and responsive layout. The Online Social Media Agency WordPress Website Theme provides an affordable mechanism for showcasing Social Media Agency services. You can easily customize its color theme, initial content, blogs, and preferred features even when you are not equipped with coding skills. This SEO optimized theme is responsive with quick navigation. 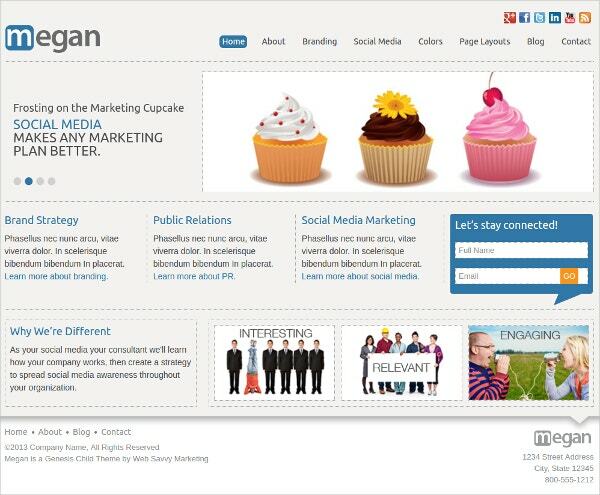 The Social media, business, and corporate WP Website Theme comes in high resolution and widget ready format. Its compatibility with many browsers and responsiveness make it perfect for attracting consumers. It works on WordPress version 4.3+. Once purchased, you receive PHP, CSS & JS files that are editable and well documented. This Social Media WordPress Theme is perfect for freelancers and consultants. It features five color options, multiple sidebars, author boxes for both individual and multiple bloggers, and a flexible rotator. It also has an editable call to action box and a widget page. This SEO friendly template is also responsive. 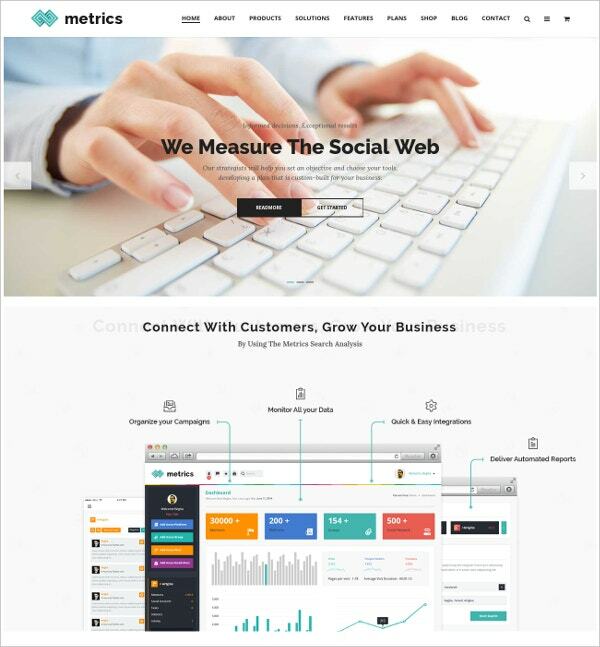 This Online Marketing and social media agency WP Website theme is not only documented and widget ready but also compatible with the major browsers including IE9+. This responsive theme operates under the underscores framework and is editable with WordPress Software Versions 3.0+. You can get this clean document in CSS, JS, and PHP files. 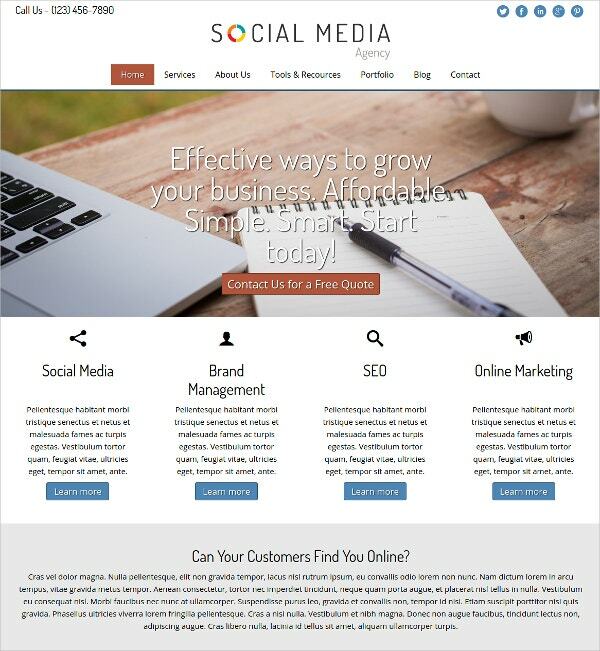 The social media WP Website Theme enables anyone to start their social networking. 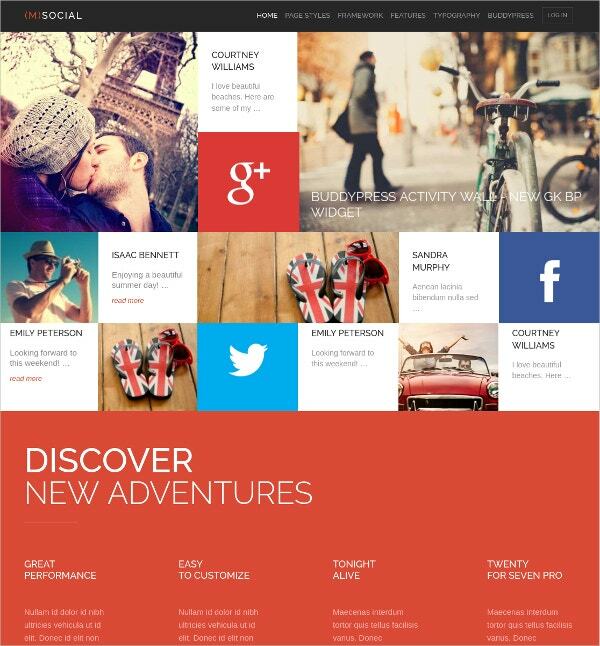 It provides grid layouts, support, and social integration. Thus, users can socialize within the community. Its features a flexible FrontPage, plug-ins, widgets and custom typography in its 2-column responsive design that is compatible with WordPress version 4.0+. 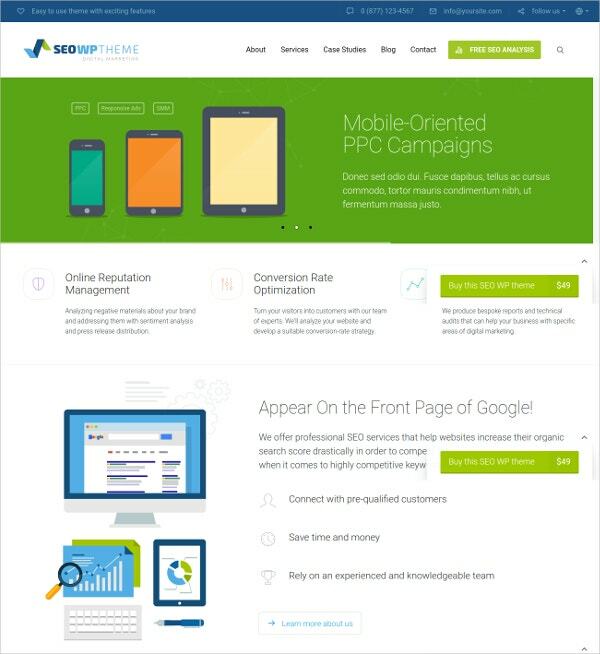 The social media and SEO Company WordPress Website theme features a whiteboard demo. You can edit and customize most of its features including blogs, articles, contacts, quotes, services offered and pricing. This niche oriented theme comes with drag and drops options, PSD files, icons, graphics, sliders, mega menu, retina-ready and responsive layout. 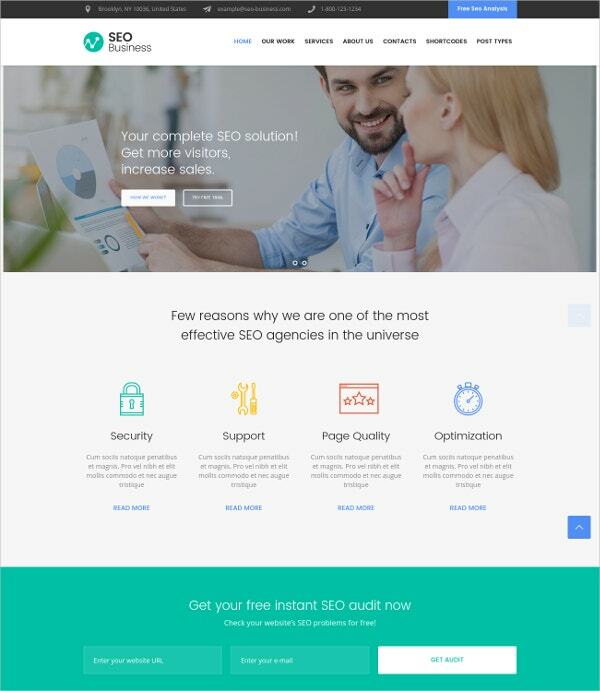 The SEO Services, Social Media & Marketing WordPress Website Theme comes with editable custom page backgrounds, unlimited menu colors, google fonts and a responsive layout. 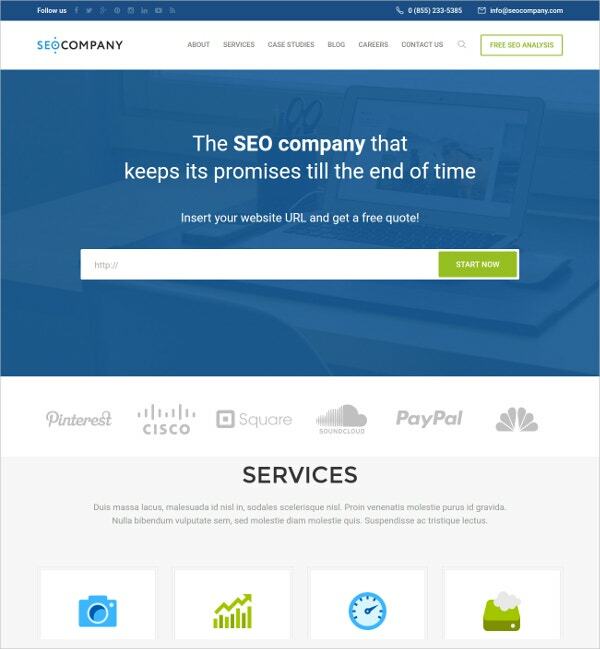 The SEO friendly template is retina ready and contains custom posts, shortcodes, sliders, and widgets. It is coded with HTML 5 and CSS3. 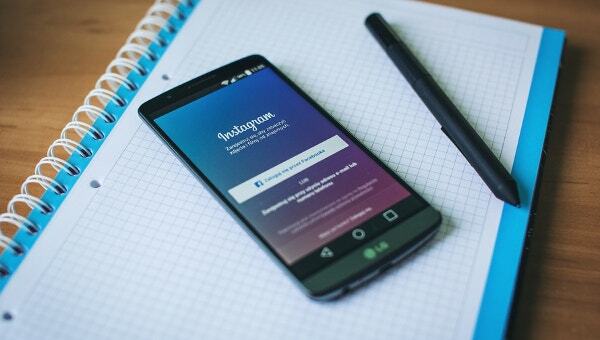 Since everyone knows the enormous benefits of utilizing social media advertising, digital marketing, and SEO services, no one should limit you from using Tumblr Themes. They are affordable and once you reserve the rights to use them, you can modify all the elements to suit your situation free of cost.